Most teachers would tell you, in order to improve your composition writing skills, you should read more story books, model compositions and dictionary….blah blah blah. How about doing this the Gen-Z way! When I was in primary school, up to my undergraduate days, I was a cartoon/ Scooby Doo/Hong Kong Drama/CSI TV addict. Well, that was before the invention of YouTube and google. Now you know where I got my ideas for my compositions! Here are some ways you could creatively infuse your compositions with non-conventional, appealing storylines. 1.Watch Korean dramas! I am a big fan of Korean dramas and I think they make excellent story writing material for idea generation. Why? Don’t you realise that they are simply addictive? That’s because they use story hooks very excellently. They know exactly where to stop and leave you yearning for more! 2. 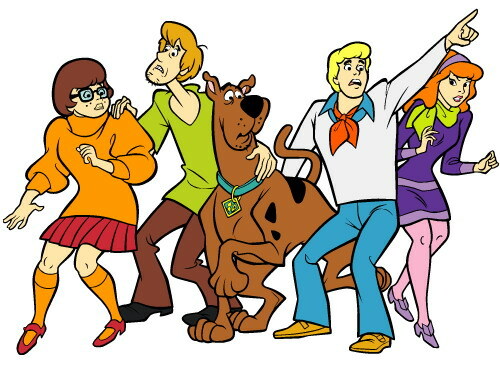 Watch solve-the-mystery type of cartoons (like Scooby Doo) or crime thrillers like CSI. Because there is ALWAYS A TWIST in the story! You always find clues left behind and you will never be able to guess who the mastermind really was! 3. For real life surprises, go read STOMP and watch daily news for practical real life stories with a twist or an unexpected ending. 4. Search and watch YouTube for common composition themes like “a dilemma”, “a surprise”, a “kind deed”, “lending a helping hand” and you will find really good ideas! I am sure you will enjoy these non-conventional ideas will inspire you to write better once you get more inspiration for your compositions! Good luck! ‹ 5 simple methods you can use to write an A* composition!